It happens every fall. As the temperature starts to dip I realize that I won’t be able to get away with sockless flats much longer, and with a run-around-the-city lifestyle, I can’t wear heels 24/7. As much as I’ve tried, even wedge sneakers and a low heel boot will start to ache in the balls of your feet after twenty five blocks. I adore (obsessively) adore boots, but sometimes style requires, or desires, something lower than a mid shaft riding boot. This week my mom happened to be in town, and we headed out to hunt down some new shoes for her (she had a whole host of foot complaints) and I tagged along looking for my own inspiration. 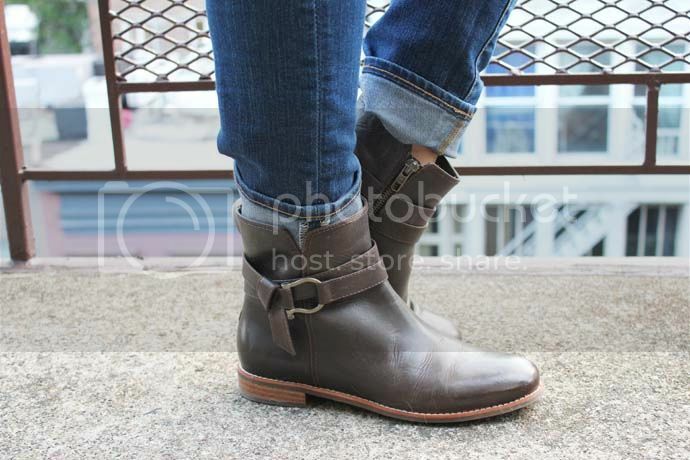 Lo and behold I came across these flat ankle boots. They are completely different from what I would normally wear., I love the off-brown color and loose around the ankle fit (no clingy calf cleavage.) What shocked me even more? These gems are from Sperry! After three years of college at the Sperry capital of the country, I swore up and down that I would never own “boat shoes.” I am always impressed when a brand with a strong history grows and shifts successfully without neglecting their roots. Props to Sperry for making one of the most comfortable and cutest pairs of boots made for walking this season. Also, to me for gaining some footwear maturity. I’m sure my toes will thank me one day. *I just so happened to marry a man who owns more than one or three pairs of Sperry classics, but I’ve grown to accept his taste. The shoe clash even came out in my sister’s speech at our wedding! This entry was posted in Outfits, Shopping and tagged Ankles Boots. Bookmark the permalink. great boots!!! love the color! 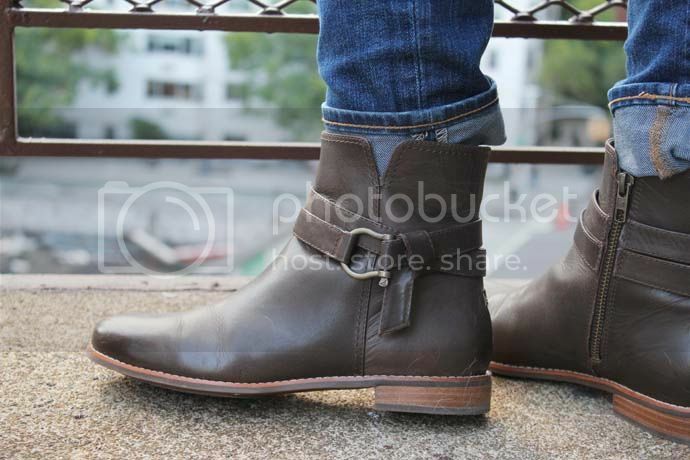 I love these casual cool boots! It’s always important to have a good balance between comfort and style. 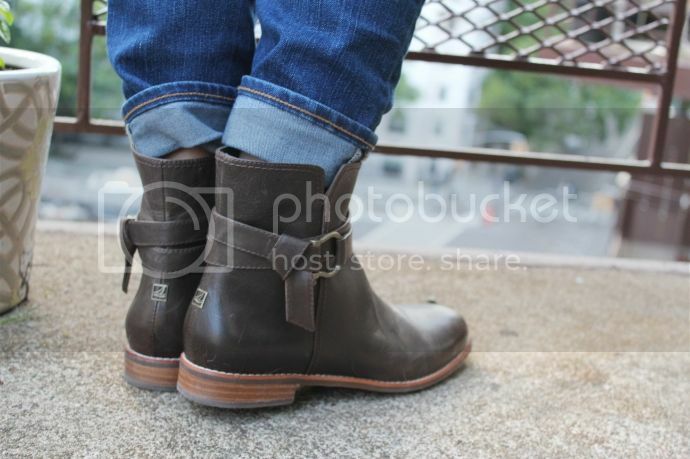 I prefer boots over any other shoe anyway:) Love these, I’d wear them daily. I love these boots! I’ve been living in flat ankle boots lately. My favorites are a sleek pair of black Chelsea boots. They don’t have the same chic level as heels or even heeled booties, but I always opt for comfort over style in the end 🙂 Your boots are so cute!